« Lions bite off more than they can chew? NEVER! 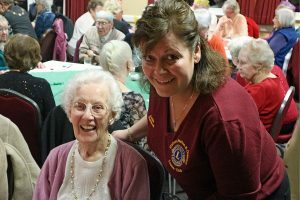 Malton Town Council has for many years sponsored a winter party for the senior citizens of Malton and for the last two years Malton, Norton and District Lions Club have had the responsibility of organising the event. 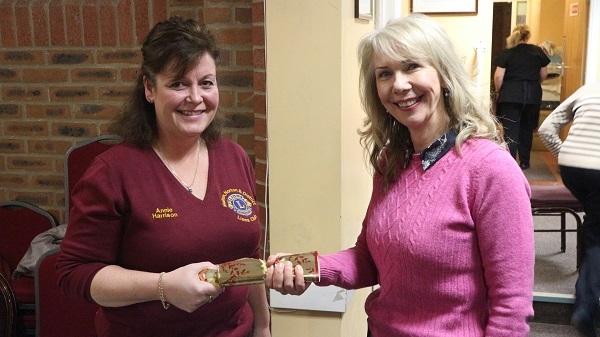 Following its success in 2017 Lion Yvonne Daykin again took charge of the arrangements, ably assisted by Lion Annie Harrison and Lions Club members. 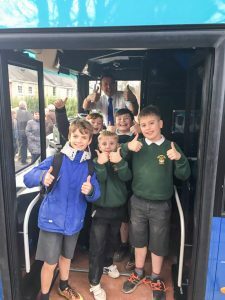 Historically Malton Rotarians have always both made a donation to the cost of the event and assisted by providing transport to get people to and from the Rugby Club which hosts the party and this year was no exception. Lions are very grateful for their assistance and the contribution from all sponsors listed below. 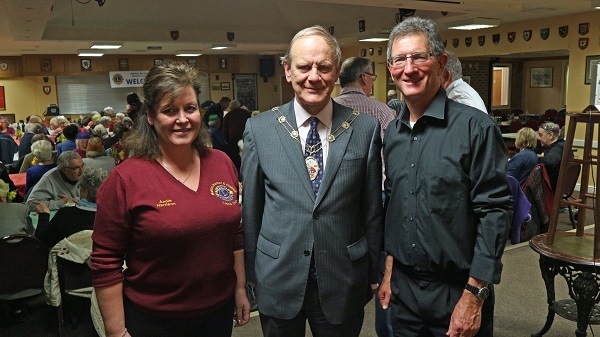 The party started in the late afternoon with drinks on arrival and a welcome from Malton’s Mayor Councillor Paul Andrews after which a lovely three course dinner was served. The tables had each been decorated with party hats, crackers and a display of fresh spring daffodils. 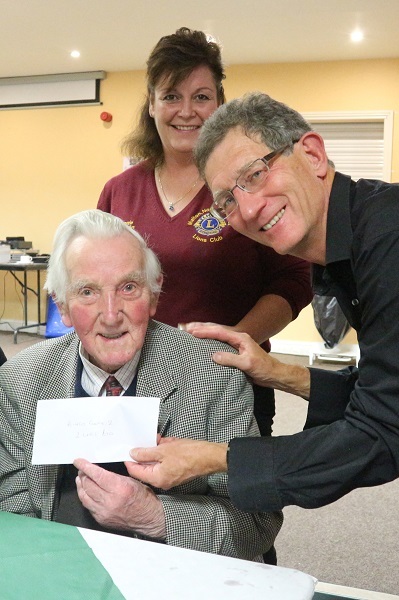 Lion Vice-President Steve Siddaway and Yvonne present a bingo prize to none other than Yvonne’s mum! 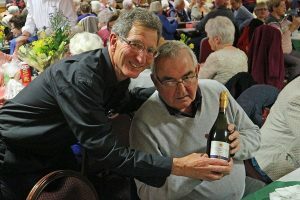 After dinner the tables were cleared and bingo cards distributed ready for Yorkshire Coastliner’s celebrity driver Eamonn and team to display his other talents as a bingo caller and all-round entertainer. 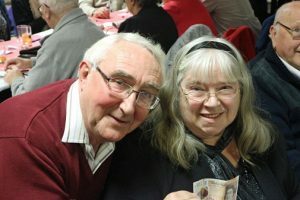 Our guests played three cards, each for a line and full house for cash prizes and the first game resulted in two full houses and the prize being shared. 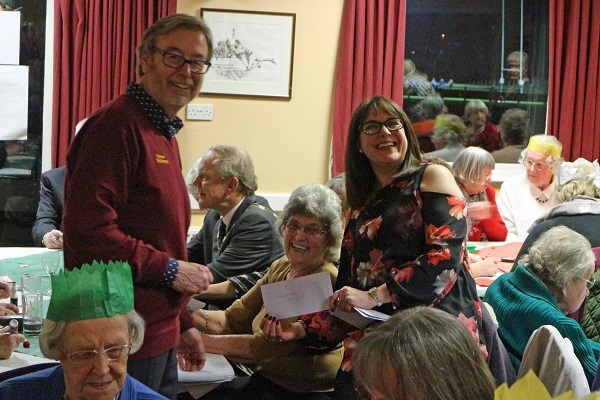 Eamonn also assisted by calling out the winning raffle numbers which, with the vast number of prizes, kept the Lions on their toes as they rapidly distributed them from the display table to the winners around the room. 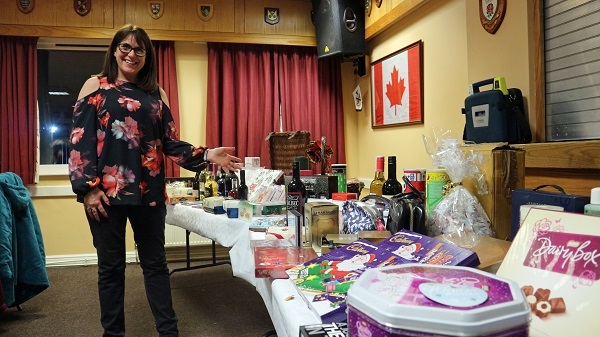 So successful had Lion Yvonne been in getting prizes donated that despite almost 90 guests, we ran out of tickets to draw before all the prizes had been distributed. So a bit of quick thinking and all the tickets went back in the hat to be drawn again until the last prize was won! 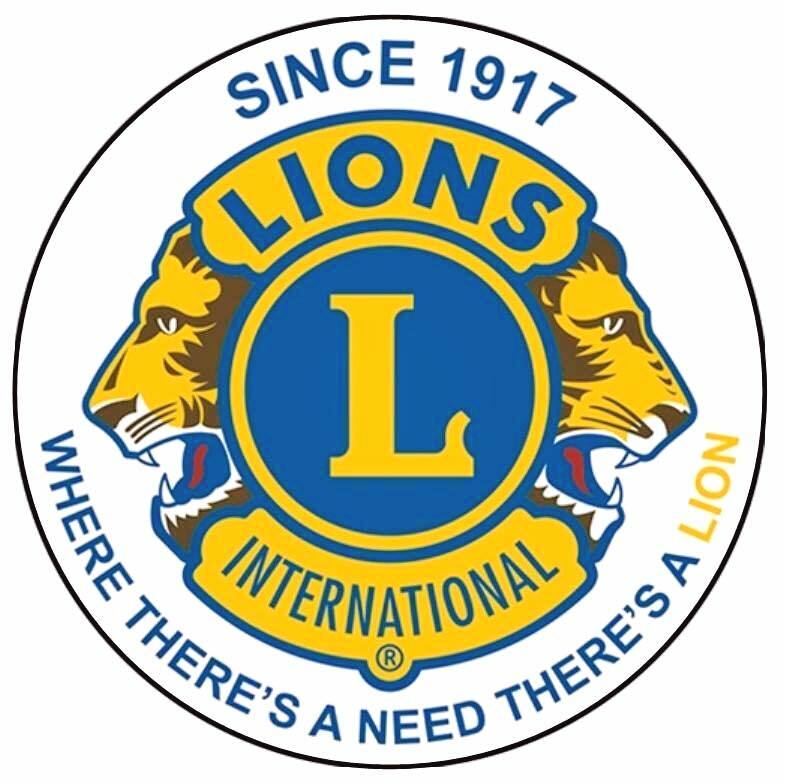 As with all Lions events we always both welcome and often rely on help from the Friends of Lions and a number of both partners and friends played an important part on Friday helping to set up and keep the evening on track. Lion Annie with Mary Rohan who helped us on the evening in charge of cracker quality control! 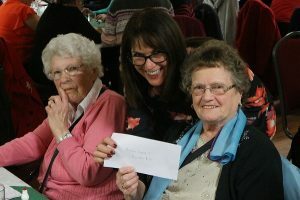 …and here are a selection of our bingo and raffle prize winners being presented with their prizes. Finally, after the bingo and raffle Eamonn and his team entertained the guests with a medley of songs specially put together for a very special Malton audience.